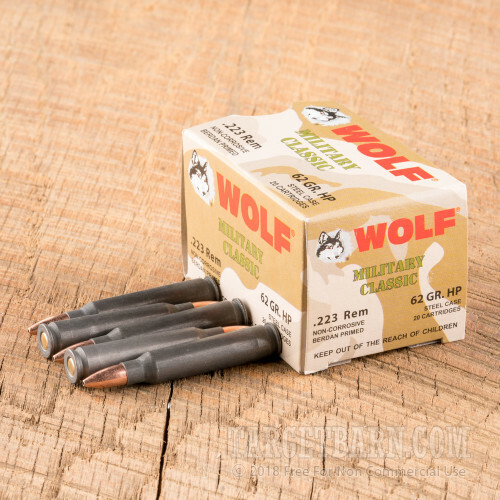 Whether you're punching holes in paper targets or pesky varmints, you'll appreciate the low cost of this .223 Remington ammo from Wolf. 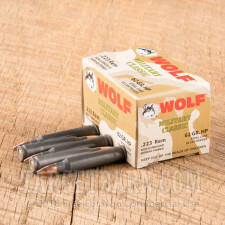 These cartridges fire economical hollow point bullets suitable for high volume use. 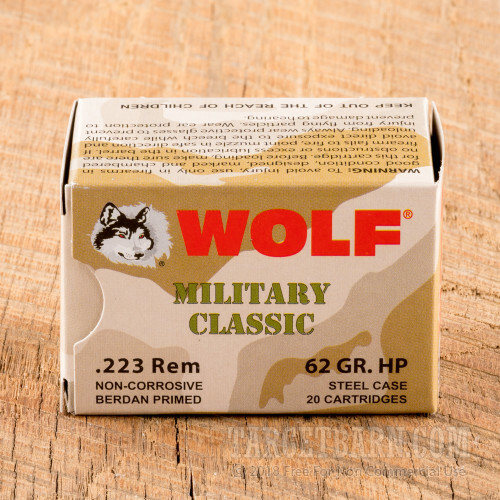 Each cartridge in this 20-round box fires a 62 grain JHP at a muzzle velocity of 2,920 feet per second. 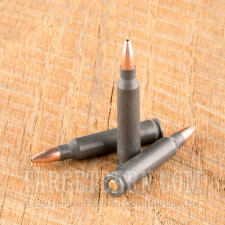 This results in external ballistics similar (though not identical) to M855 ball ammo. 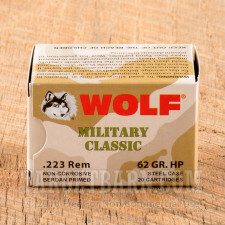 This ammunition is loaded in Russia using polymer-coated steel cases and non-corrosive Berdan primers. The cases are not reloadable.